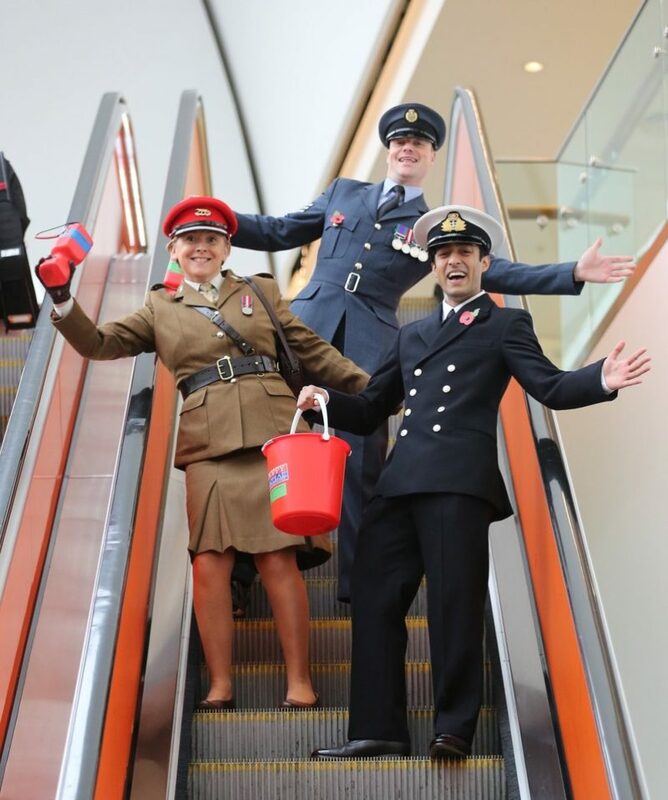 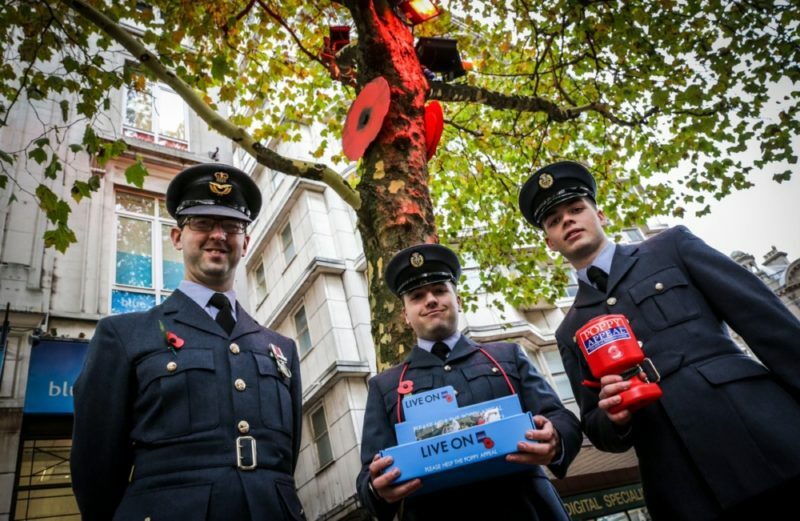 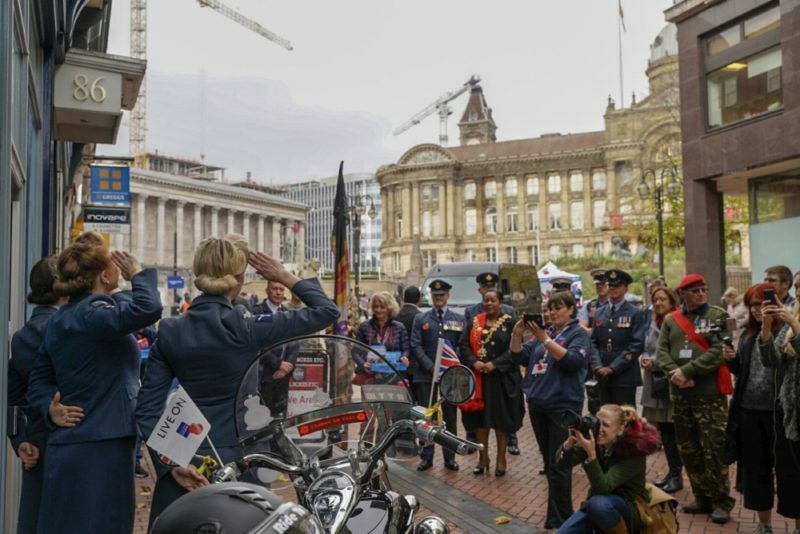 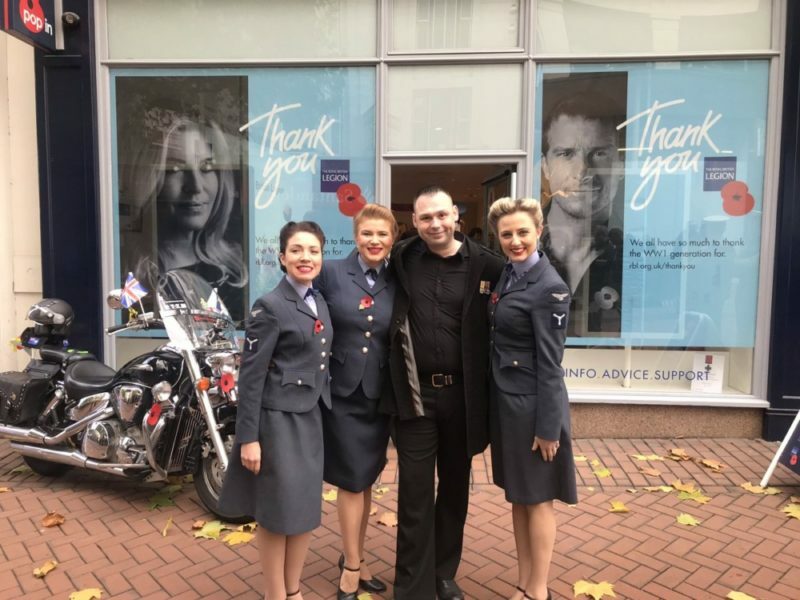 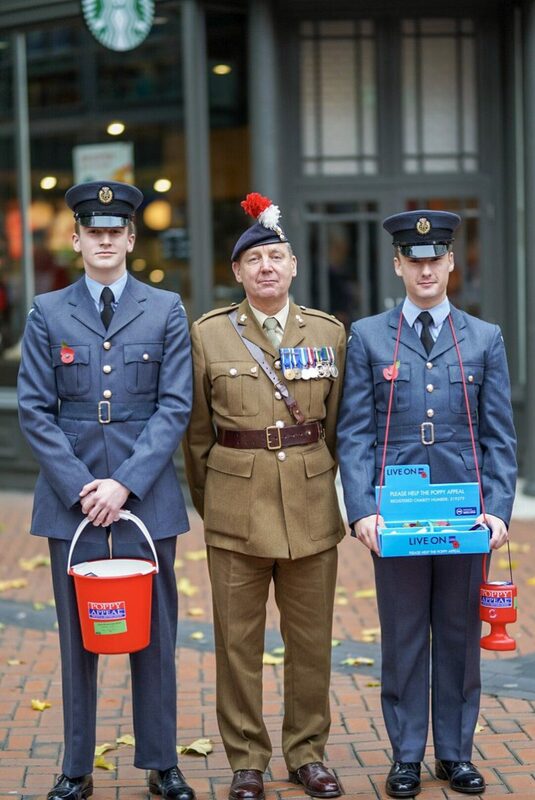 30+ photos of Brummies joining forces for Poppy Day 2018! 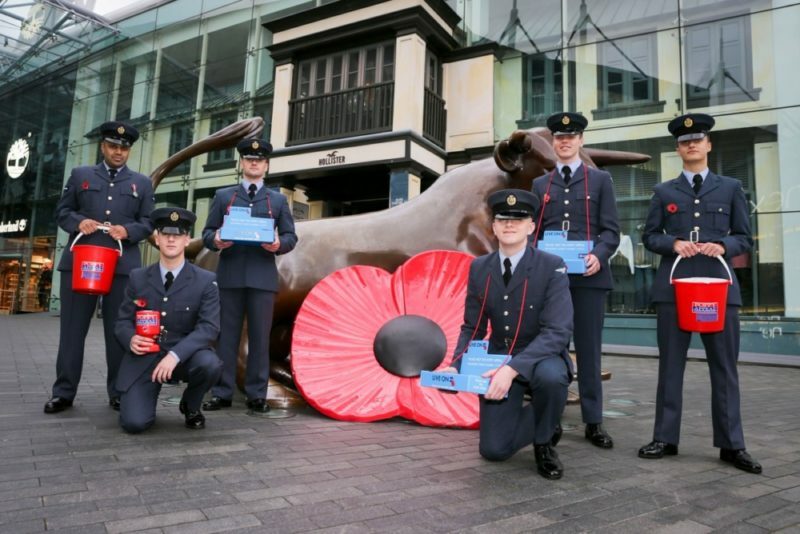 It’s Poppy Day in Birmingham today, ahead of Remembrance Sunday on 11th November. 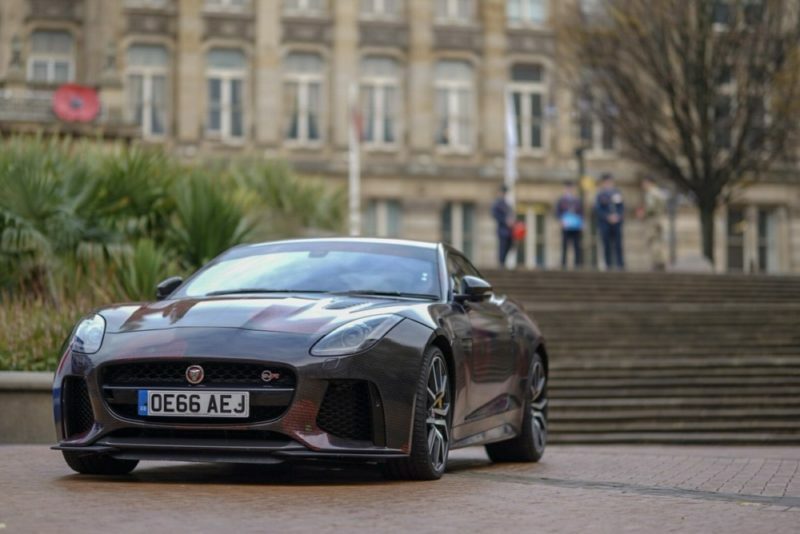 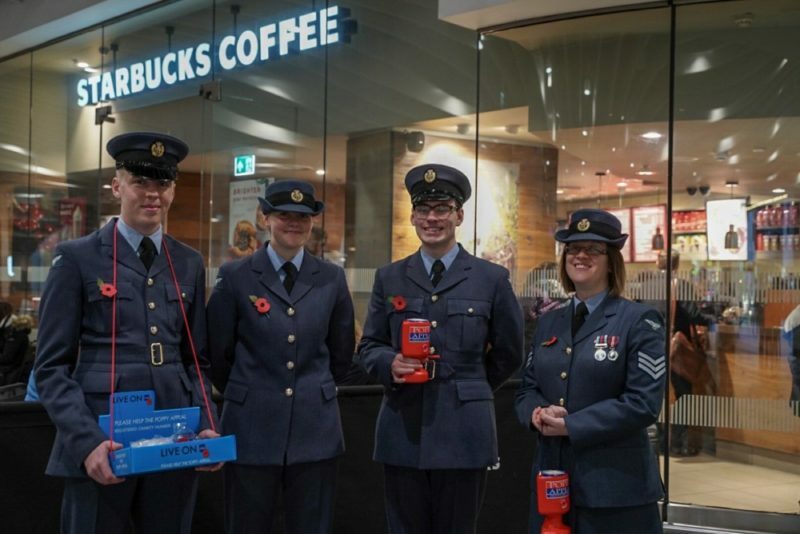 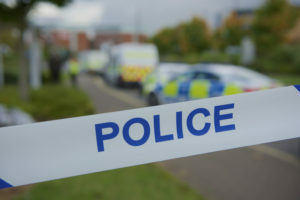 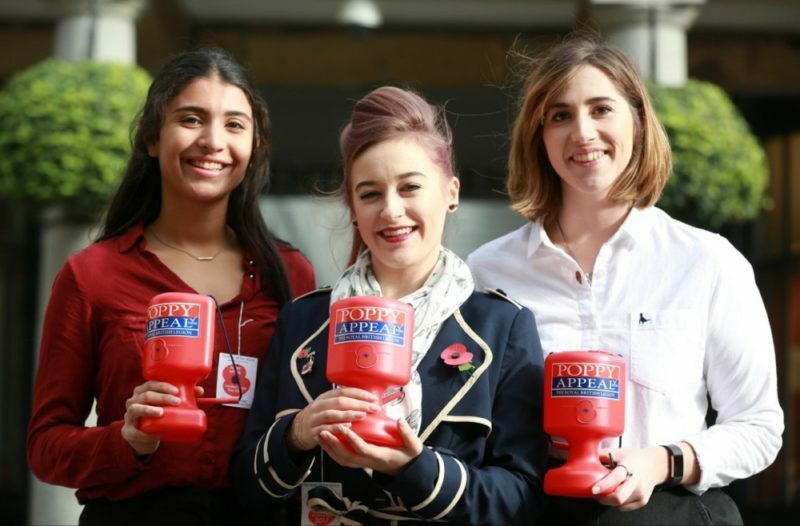 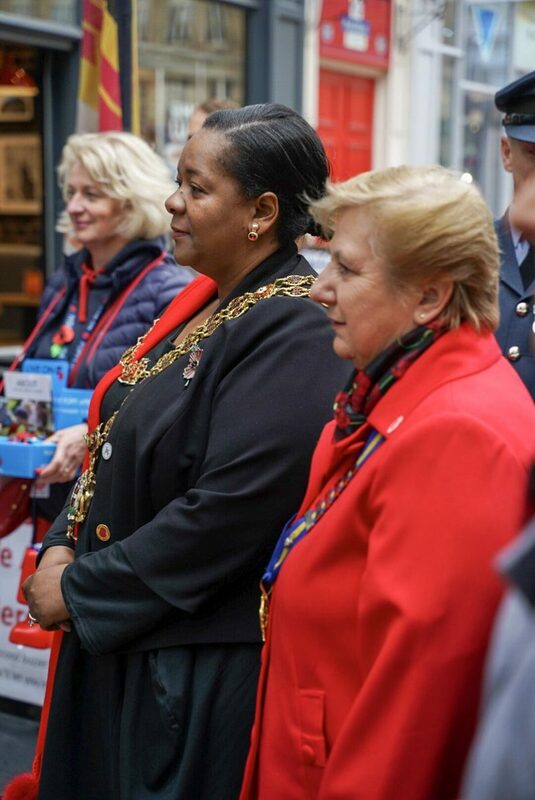 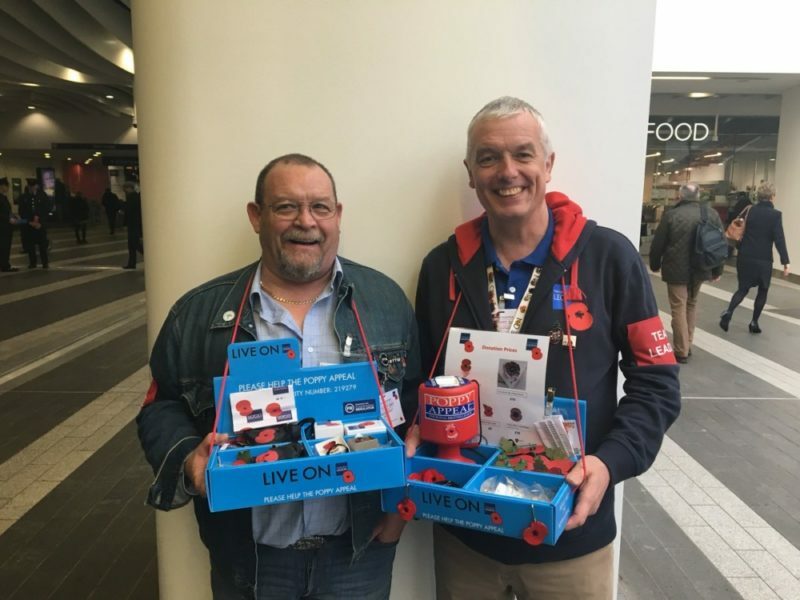 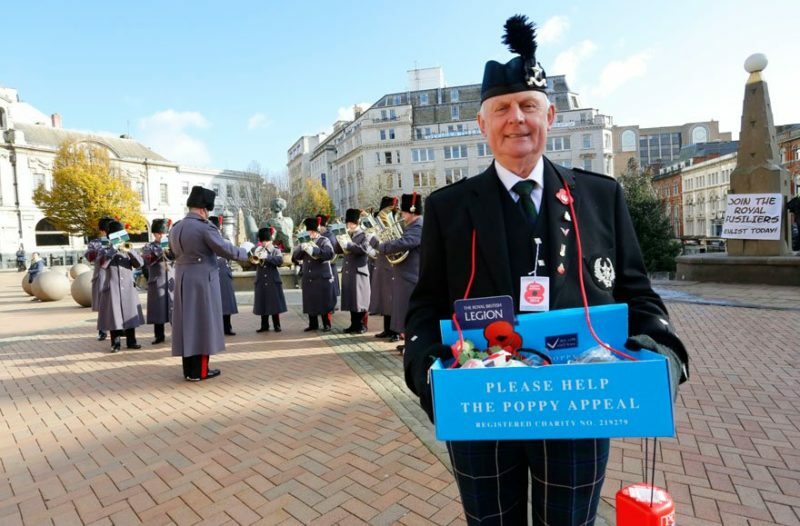 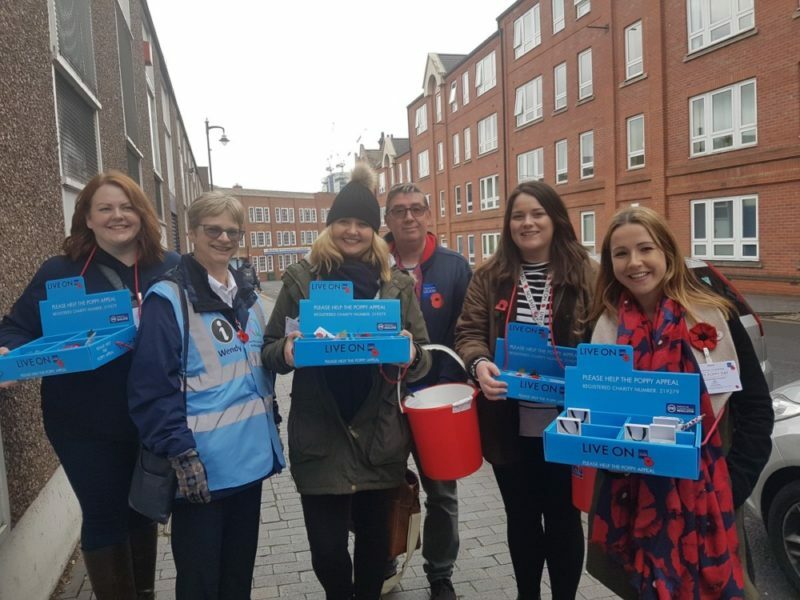 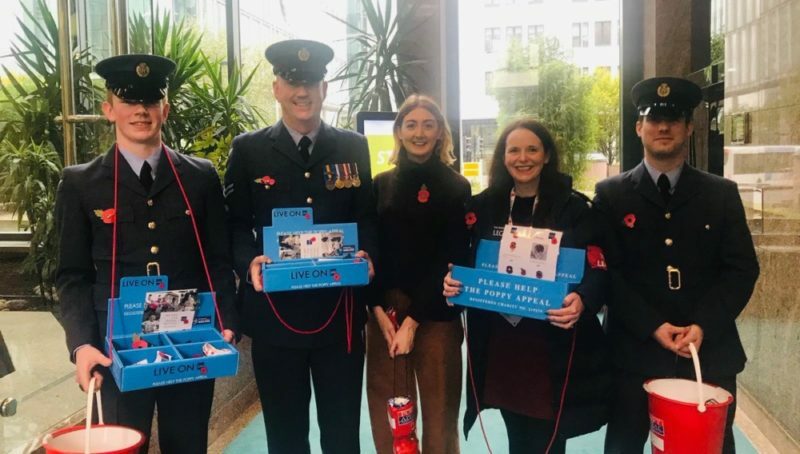 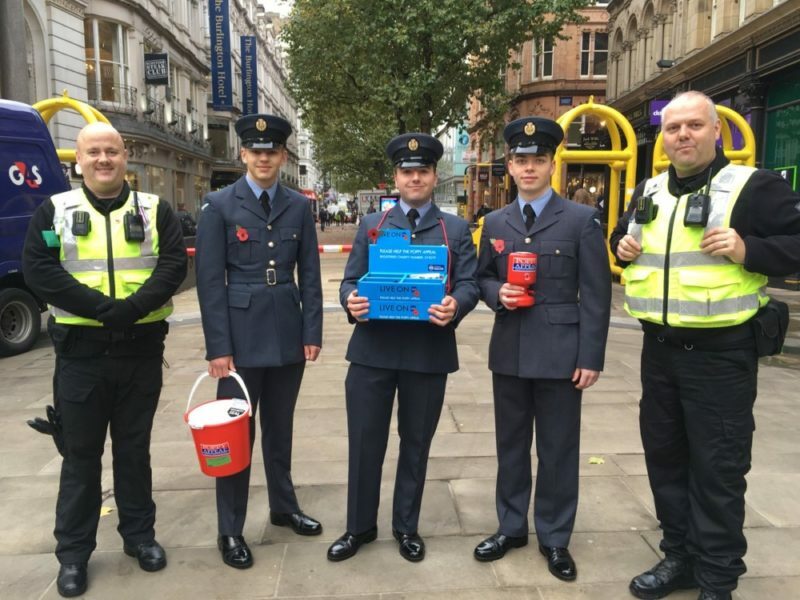 Volunteers, members of the military forces and veterans were out in full force across the city, selling poppies and raising awareness about The Royal British Legion and their work. 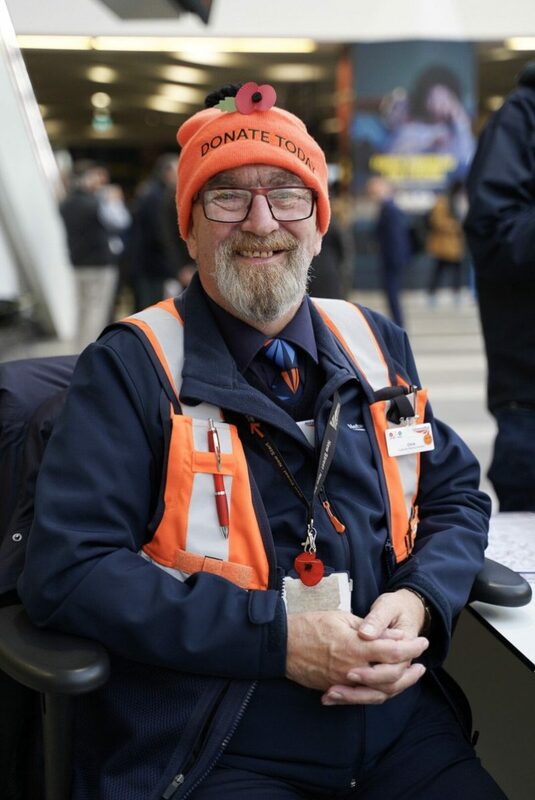 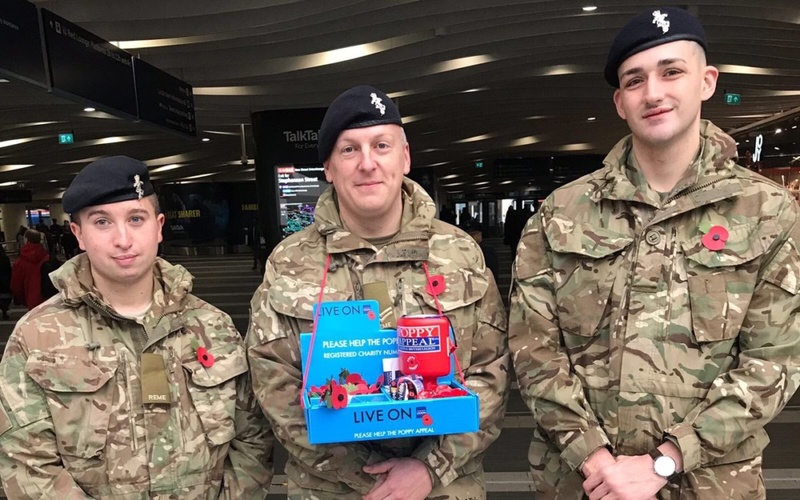 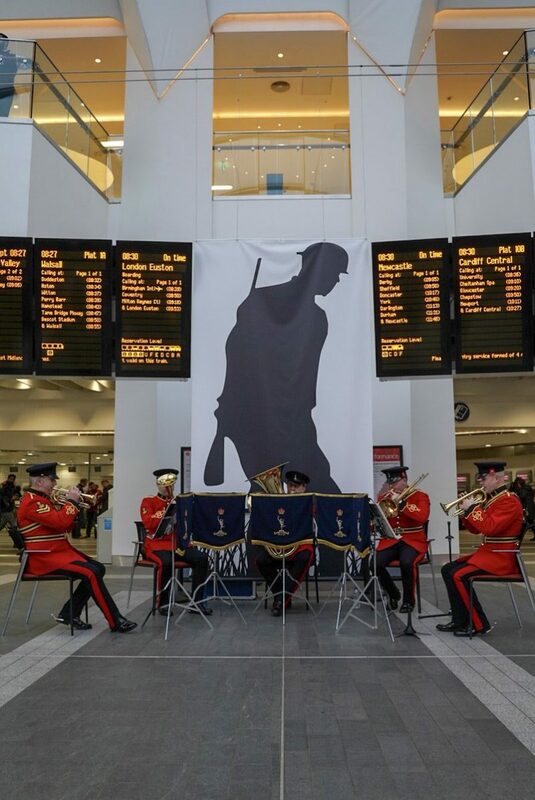 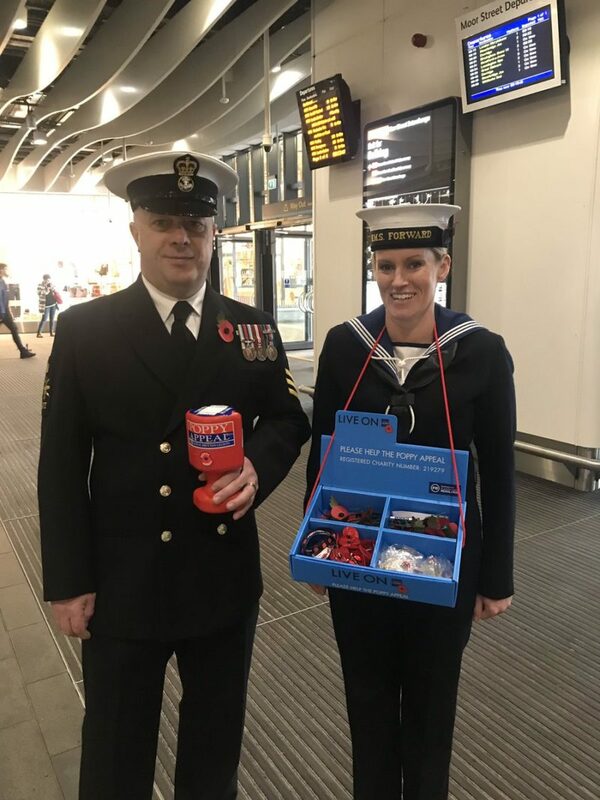 Taking positions in Grand Central and the Bullring, New Street Station, and across the city centre; members of the public and uniformed servicemen and women took to the streets to shake their collection buckets to raise even more money this year; in memory of those who have fought for the British armed forces. 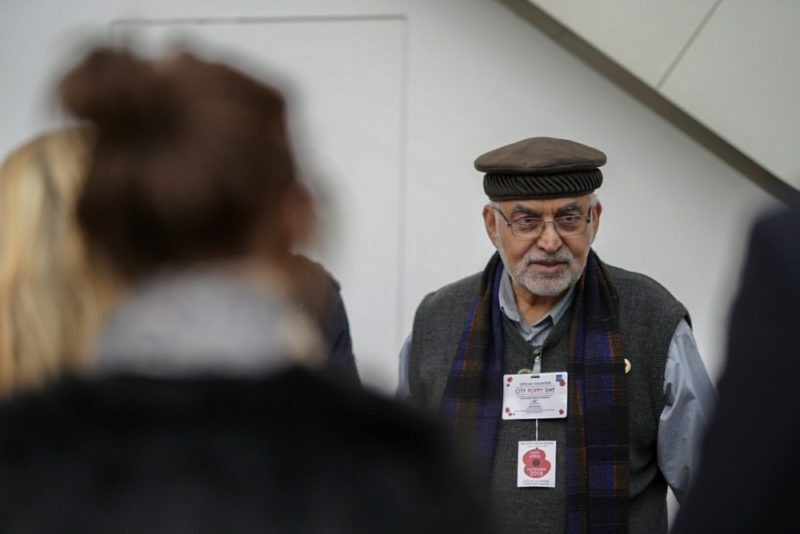 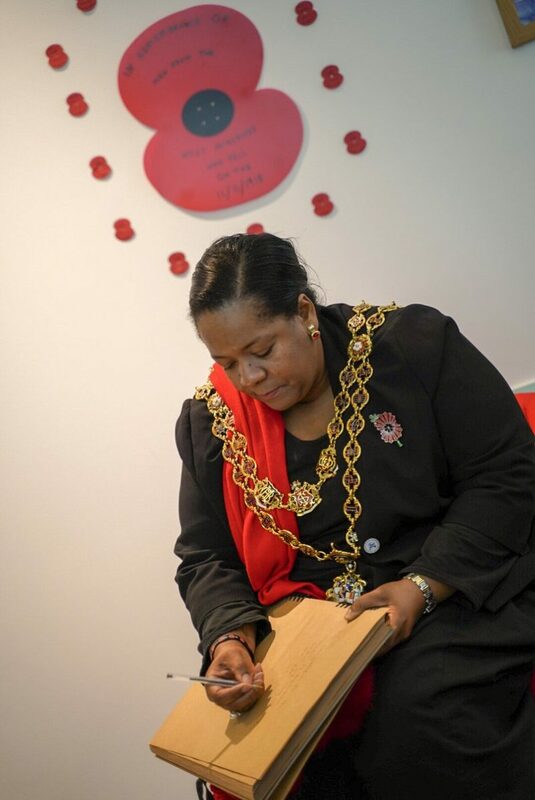 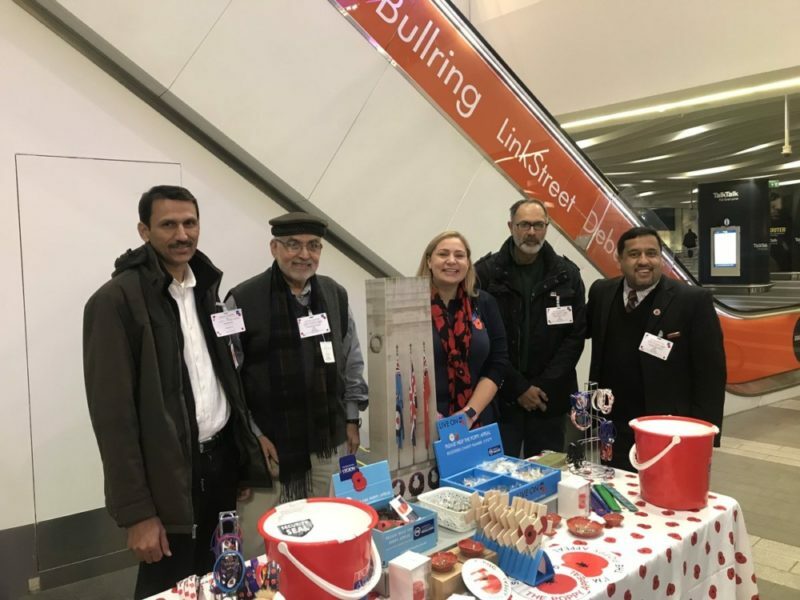 Marking 100 years since the First World War and honouring the contributions of individuals of all backgrounds, poppy sellers are stationed across Birmingham and the West Midlands, following the launch of this year’s Poppy Appeal last month, with a special art installation at the Library of Birmingham. 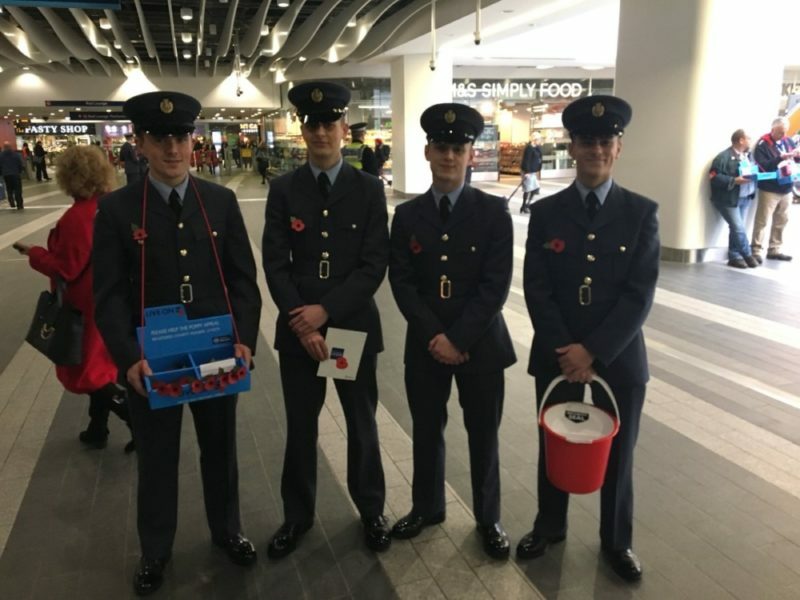 But they weren’t just shaking their buckets and collection tins, there was a good-spirited amount of singing and dancing too! 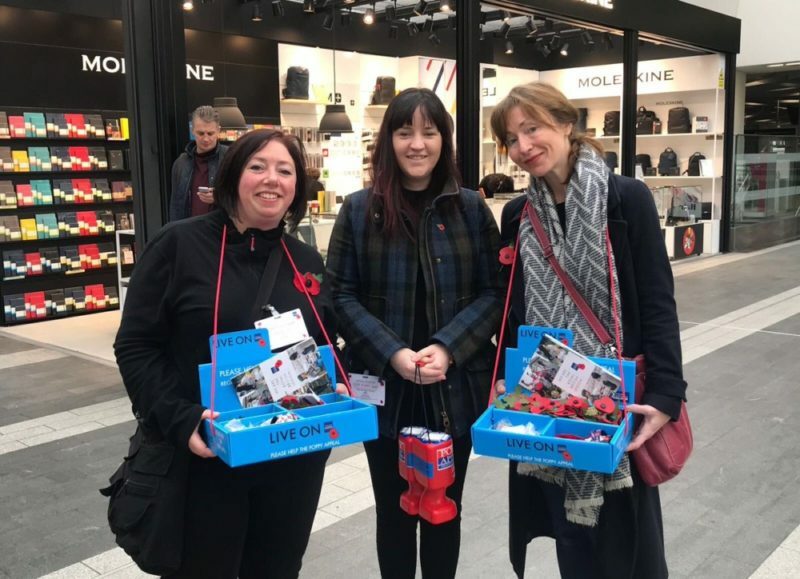 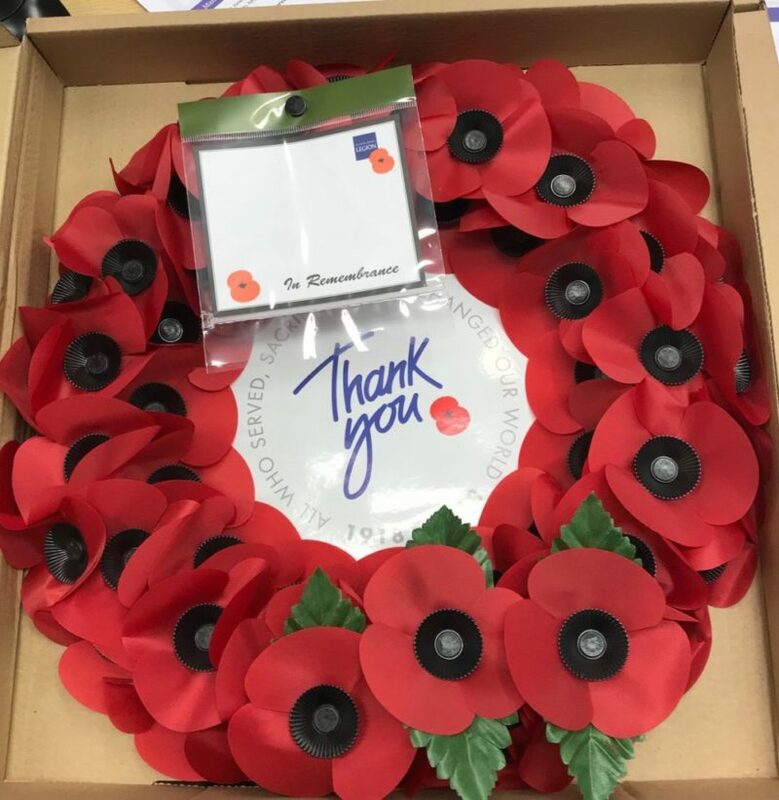 Red poppies are worn in the weeks leading up to Remembrance Sunday to commemorate and honour the fallen and sacrifices made by British veterans of war. 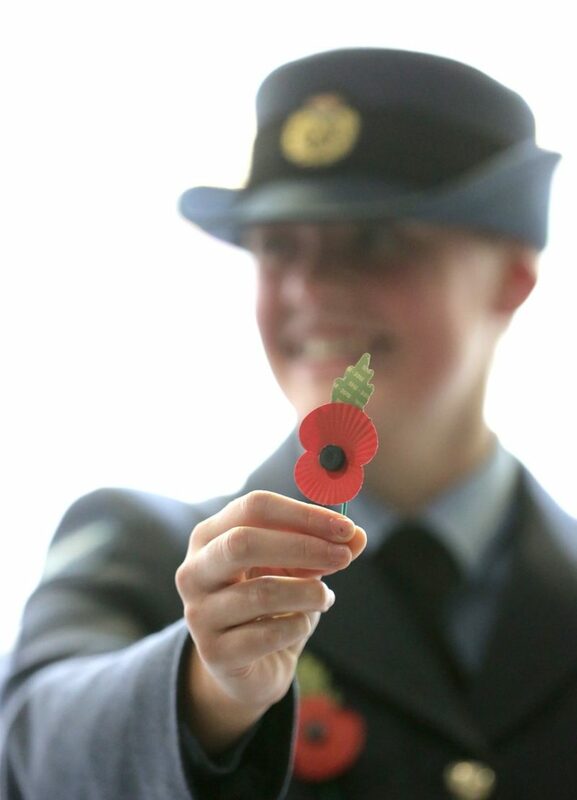 White poppies are also worn for the same reasons but with an extra emphasis on peace and anti-war sentiment. 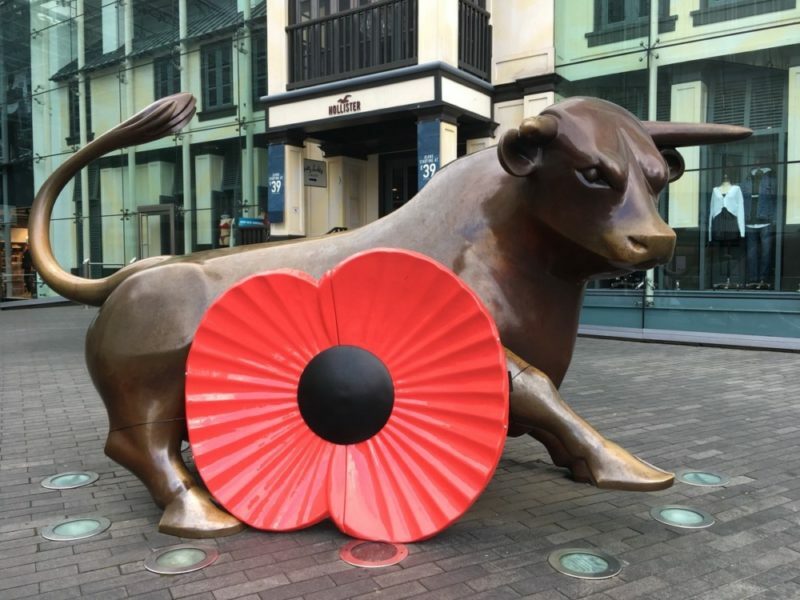 Remembrance Sunday services in the city take place on Sunday 11th November in Colmore Row from 10am, with a minute’s silence at 11am. 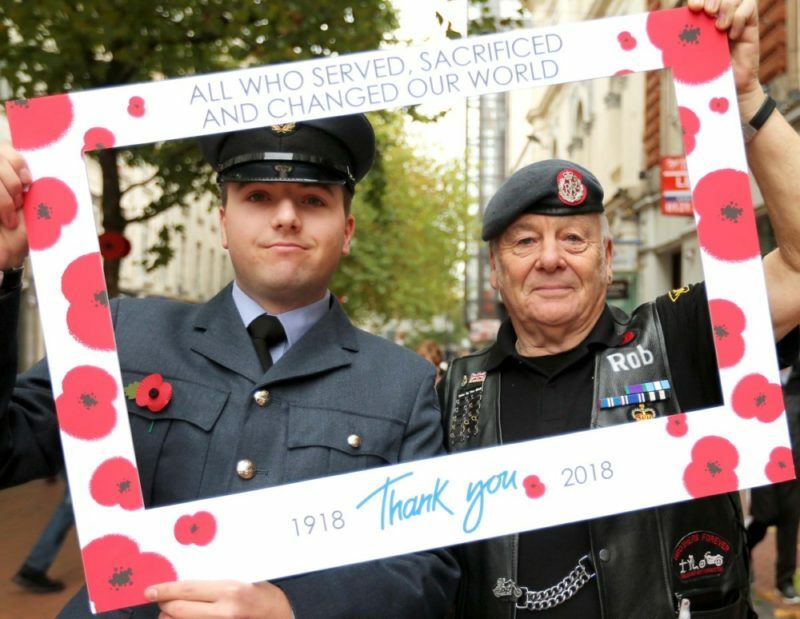 To find out more about the #ThankYou100 campaign and this year’s Poppy Appeal, visit the Royal British Legion’s website here. 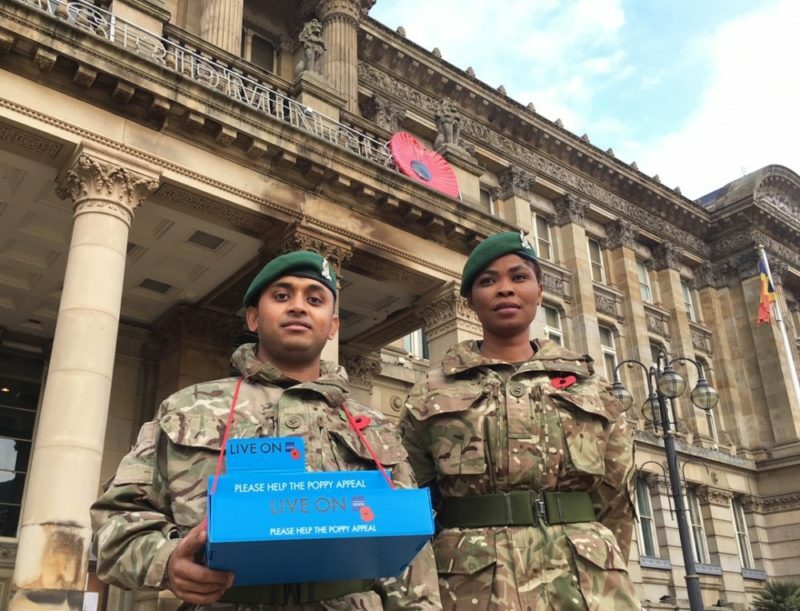 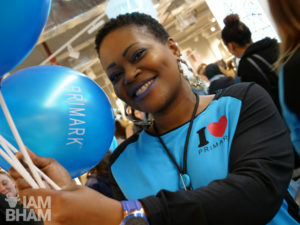 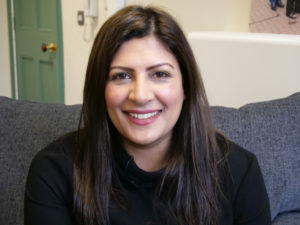 « VIDEO: How do young Brummies celebrate Diwali?